Auto Center of Texas > Newsroom > Uncategorized > What Are Summer Tires? Vehicles are built to operate in all kinds of climates and conditions. Drivers who properly prepare their vehicle for the road conditions in their area will find an increase in efficiency and performance. Buying the right type of tires for summer driving is one way a driver can see an increase in traction. Let’s break down what you should know about summer tire uses and benefits. Traction on the road during summer weather conditions. When compared to all-season tires, summer tires provide better control and efficiency for sportier, high-performance vehicles. Summer tires also operate better in wet road conditions, as their treads were engineered to resist hydroplaning. 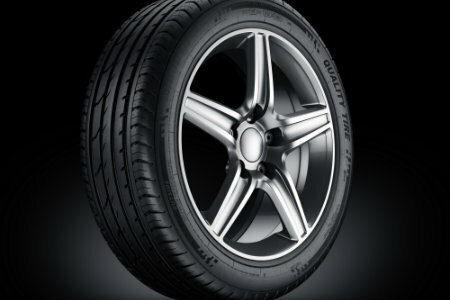 These tires have less-grooved surfaces and are designed to keep as much rubber on the road as possible. Their tire treads, are shallower than the treads found in other tires. It is important to note that summer tires, as their name suggests, do not perform well in winter driving conditions. If you live in an area that experiences winter road conditions, you should alternate between summer and winter tires accordingly. For drivers who value longevity, all-season tires will provide reliable performance and traction over a longer period of time, but lack the benefits of dedicated winter or summer tires. In summary, drivers of sportier vehicles in warmer climates, summer tires are a great way to guarantee a better driving experience in the right conditions!